What makes a museum worth a special trip? Why would you tell a friend they had to go see a particular exhibition or institution? I've blogged about this before, but my recent trip to the West Coast --- specifically the Bay Area, made me think about some of the qualities that make up a great museum visit and a great museum. The (new) Exploratorium Despite the herculean task of moving out of their old home and into their tony new digs at Pier 15 in the heart of San Francisco, I think the (new) Exploratorium is super! Somehow the new exhibits (both indoor and outdoor) manage to peaceably coexist with the "classic" exhibit components and experiences. Also, despite the fact that the building is "new" it feels remarkably "un-new" a little lived in, in a very comfortable way. 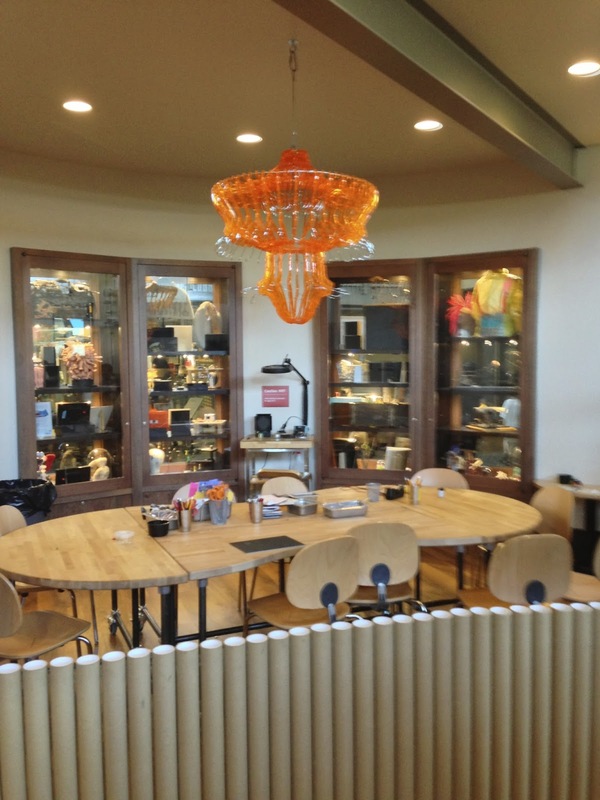 Because the spaces expanded, cool spaces (like The Tinkering Studio pictured below) have gotten larger. Was everything perfect? Of course not, but so many things were done so well, it just made me happy to be a visitor there. The (new) Exploratorium also added things like more natural light, a beautiful, accessible location on the Bay, and not one, but two (!) restaurants to add a nice level of visitor services that the (old) Exploratorium seemed to willfully (and gleefully) disregard. Hats off to everyone involved --- I know it wasn't easy! Bay Area Discovery Museum Next up, across the Golden Gate Bridge is the Bay Area Discovery Museum (BADM) in Sausalito. A children's museum located on the grounds of what was once Fort Baker military base. BADM uses its unusual collection of restored military buildings and surrounding outdoor spaces to its advantage by creating individual, and "bite-sized" exhibition and programming environments. Each building houses a specific offering, whether that's a traveling exhibition gallery, a themed space, or a programmatic space like a collection of Art Studios. The indoor and outdoor spaces blend seamlessly and comfortably into an environment I would characterize as a "learning landscape." I really appreciate the thoughtful use of simple materials in both the indoor and outdoor spaces at BADM. 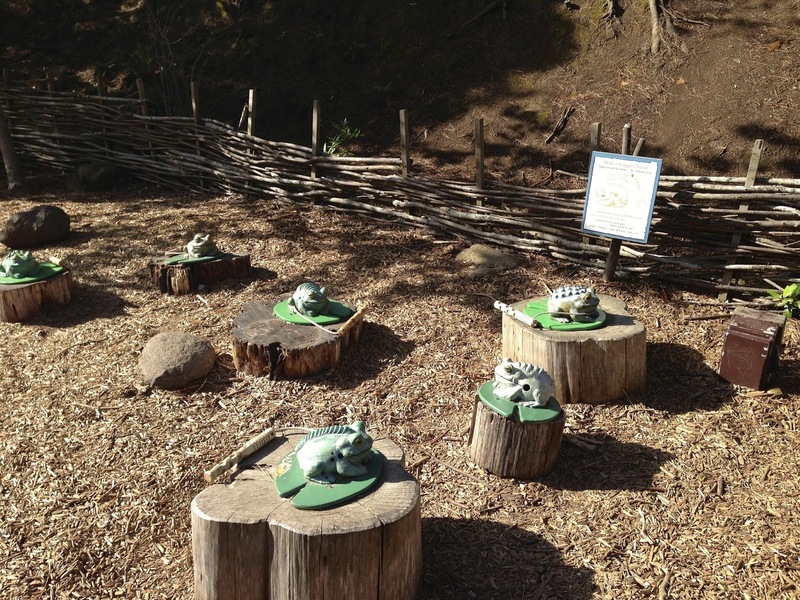 And I like how there are cool surprises around every turn in the outdoor areas, like the collection of musical frogs (pictured below) that you can make "croak" by rubbing a stick across their backs! 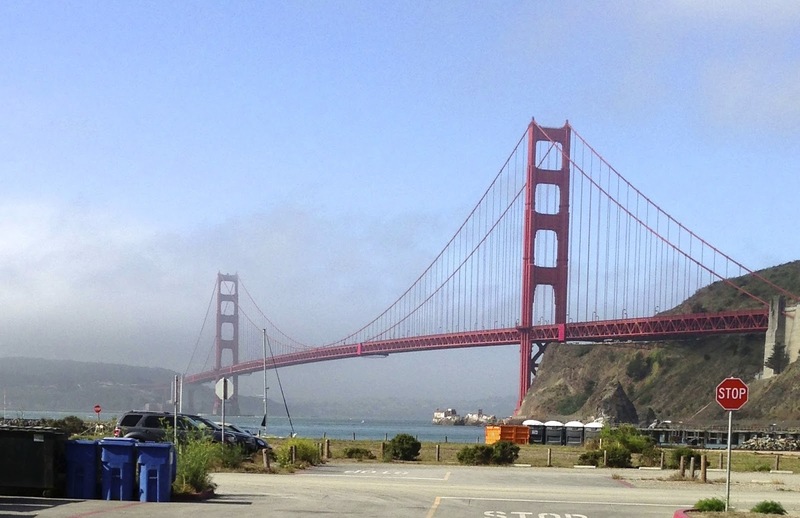 Of course, you also have a perfect view of the Golden Gate Bridge across the Bay from BADM --- just remember to bring a jacket, since it's Northern California! de Young Museum Located in Golden Gate Park in San Francisco, the de Young is the encyclopedic fine arts museum of San Francisco. The museum building is beautiful (and comfortable) both inside and out, being composed of warm, natural materials including copper, stone, wood, and glass. It was great to maneuver around the spaces inside the de Young which seemed to complement the art on display, not compete with it. The visitor services at the de Young were well done also --- the entry and admissions sequence was straightforward (I got free admission by using the Google Field Trip app!) and the museum had a great cafe with indoor and outdoor seating. Oakland Museum of California Now let's bop across the Bay Bridge to Oakland to visit the Oakland Museum of California (aka OMCA.) This museum has reinvented itself in recent years with lots of community involvement. It's worth checking out the book, How Visitors Changed Our Museum, to find out more about OMCA's exhibit process and products. My main purpose for visiting OMCA this trip was to see their newly opened (but not quite completed) Gallery of California Natural Sciences. To quote the museum's website: "At 25,000 square feet, the reinstalled Gallery presents seven places throughout California that depict the state’s diversity of climate, geology, habitats, ecosystems, and wildlife, while exploring current research, contemporary issues of land use, environmental conflict, and conservation projects." While I was visiting the Natural Sciences gallery, I was delighted to overhear a grandmother (pictured below pulling out a display drawer of "roadkill" specimens from the front of a pickup truck display) have continuing conversations with her 11 year old granddaughter about the things they were experiencing inside the Gallery. the reinstalled Gallery presents seven places throughout California that depict the state’s diversity of climate, geology, habitats, ecosystems, and wildlife, while exploring current research, contemporary issues of land use, environmental conflict, and conservation projects. I was lucky enough to get a "sneak preview" of a place under construction that I think will be a museum"worth a special trip." But they wouldn't let me take photos during our tour of the in-process museum (and I didn't want to be a jerk and sneak any with my iPhone!) so let me just tell you it was AMAZING! For some of the walls they let people skateboard all over them for a scuffed/distressed look. Lots and lots of clever display techniques supporting truly wonderful images and artifacts. The museum is slotted to open in October, so stay tuned! I know, I know, you're thinking: "But didn't he see anything he didn't like?" Good question! All of the parts of a museum visit (entrance, exhibits, visitor amenities, location ...) really add up --- and can "make" or "break" a visitor's experience. Considering all the things that could go wrong, it's gratifying to find museums that get so much right! Have you visited any "museums worth a special trip" this summer? Share some of your own experiences in the "Comments Section" below!